In a recent trip to a restaurant I had something that I figured a little bit of ketchup would help enhance the fare. So I grabbed the plastic ketchup bottle and noticed that apparently it had never been open. Based on my experience of the past I figured I would need to take the lid off, remove the inside paper top, and replace the lid and squeeze. Well, I could not get the lid off so I handed it to someone else for assistance. Their experience with that kind of bottle was different. All they did was just turn it up and give it a good squeeze, and presto! Out came ketchup! 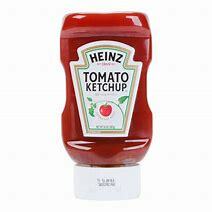 By me applying my past experience and wrong thinking, I could not get to the ketchup. The ketchup was already open, ready to be dispensed, and all I had to do was put my hand to it and squeeze. The Bible says Jesus Christ is the same yesterday, today, and forever (Hebrews 13:8). He has the same heart to help his people in every way just like he did when he walked the face of this earth. He has the same unlimited power he had as then. He gives the same Holy Spirit to his people who will believe and receive. The Holy Spirit has the same supernatural gifts and abilities to impart to people today as then. All this is in order to bring about God’s help for his people in daily life. God has set it all up to operate by faith. He has it all in place, ready to be dispensed. As we put our hand to it and persistently squeeze by faith, it will manifest. Too often, we impose our past experiences and assumptions, and what we have heard and observed in others, and we miss what God has for us. We will sit there for a lifetime missing the good things of God, when it was there all the time. When the Bible teaches us to repent (to turn, to change our mind), it means we are to turn from more than just sin. We are to turn from wrong ways of thinking and from wrong ways of being influenced so that we can believe the good news, and experience the things of the kingdom of God. Here is my paraphrase of Mark 1:15: “Our time is now. The supernatural things of the kingdom of God are now available to us. We are to change our minds and believe the good news and enjoy the benefits God has provided for us.” Jesus demonstrated that good things are there for us. That has not changed. We just need to grab that bottle of God’s goodness and squeeze it in faith and get all the ketchup we need.